If you’ve ever worked on or thought about creating your own web app using Ruby on Rails, then you’ve probably heard of Heroku. A child of the famed Y Combinator accelerator program, Heroku provides services that make it dead simple to get a Rails app up and running within minutes in a professional server environment. There’s a good reason why it’s so popular – they offer a free tier that just works! While lots of developers feels comfortable with their own code, the thought of fiddling with a server configuration which serves up their magical creations to the hundreds (thousands? bazillions?) of visitors that discovered their site makes their head spin. Heroku fixes this by removing the Ops out of DevOps. But, what happens when your site needs secure SSL? How about error logging and reporting? Needless to say, your bill can grow very quickly. As a small business, it’s important that I keep my costs down, especially when I’m just trying to spin apps out before I know if they are ever going to go anywhere. I wondered to myself. How could I get the ease and features offered by Heroku, but in a package that was more friendly towards my budget? So I did some searching, and found an even better answer that allows me to host my own Heroku clone on my own server for a measly $5 a month using a DigitalOcean droplet, saving me money and the frustration of receiving an overpriced bill for an app that I’m still working on. Dokku is a Docker powered mini-Heroku in around 200 lines of Bash that lets you set up your own Platform-as-a-Service infrastructure at a fraction of the cost. This makes it possible for you to host your own apps with all of the features offered by an actual provider like Heroku. Let’s get going on setting this puppy up. For the purposes of this tutorial, we are going to set up the Dokku software on a $5 VPS over at Digital Ocean. It’s a great alternative to traditional shared hosting because it is built on super fast solid state drives and it is very friendly on the wallet. If you’re new to Digital Ocean, you can sign up through this link and receive a free $10 credit, good for two free months of Dokku hosting. Start by clicking the green Create Droplet button at the top of the navigation menu. After about a minute, you should receive an email that contains information related to the new droplet that you just created, including your server’s IP Address and root password. Keep this email handy – in fact, I’d recommend saving that data somewhere in a safe and secure place for future referencing. Now that your droplet is up and running, you need to make a few configuration changes to our new Dokku install. If you’re not sure what an SSH key is, I’d recommend following GitHub’s excellent tutorial on creating an SSH key. Once you have generated your SSH key, make sure to paste it in the Public Key box on your Dokku setup screen. When you’re ready, click the blue Finish Setup button. You’ll immediately be forwarded to the Dokku Application Deployment guide, but you can now safely close your browser window, since we’ll be using the CLI to finish setting up and deploying your Rails app. Note: if you are comfortable accessing servers via shell, you can skip down to the Controlling Dokku from your Computer section below. Forewarning: remember how I asked you earlier if you were feeling courageous? You’ll know you’re ready to go when that big, scary, empty black box pops up. For the remainder of this tutorial, we’ll call this box the CLI. One of the nice things about Heroku is its integration with the Heroku Toolbelt – a set of CLI tools which allow you to issue commands to manage your Heroku install via your CLI without having to manually log in to the server every time. To replicate this behavior with Dokku, you’ll want to install the dokku-cli gem on to your computer, which will provide your computer with some Dokku controls and superpowers that it doesn’t ship with by default. Do you see a bunch of dokku-cli commands listed (such as dokku certs:add CRT KEY and dokku events) and no errors? SWEET!!! Let’s move on. Okay, so we have Dokku set up, just waiting in the bleachers to catch a home run ball (or, your Rails app.) We’re just about ready to send your Rails app up to the Dokku server. Note: not sure what Git is, or, don’t have it installed? Check out this article from GitHub which provides and overview of Git and a walkthrough on getting it installed on your computer. This will create a new folder called ruby-rails-sample in your user’s home directory, which contains a demo Rails app that you can use for the remainder of this tutorial. You did it! …didn’t you? One of the main benefits of using Rails to create your web apps is ActiveRecord, a super easy-to-use abstraction layer which allows you to write code that talks to your database and fetches or writes the data that you’re looking for. Obviously, in order to use ActiveRecord to access our database, we need to first create a database. I know, I’m a genius. You might not see the traditional ****** or ••••••• characters when you type or paste your password into your CLI, but it is still being pasted successfully. Finally, we’ll link our new Postgres service that we just created to our ruby-rails-sample app that we created in the previous step. This will also automatically set the POSTGRES_URL environment variable on your dokku host, so that dokku knows how to connect to the database when your Rails app tells it to. BAM! Our Postgres database is ready to rock and base our data. Note: If you’re using a custom Rails app instead of the example app provided by Heroku, you’ll need to make sure that your database configuration is set to use Postgres in production instead of the default SQLite. Heroku has an excellent tutorial article which walks you through making this change. How are you feeling? Ready to take over the world with your CLI skills? Maybe hack a matrix or two? Good. Let’s move on. Rails apps require a decent amount of memory to run efficiently, but our $5 DigitalOcean droplet only comes with 512MB – not nearly enough to support our app’s deployment, processing, and traffic. Lastly, let’s make sure the swap file is always used, even after we restart the server. We’re going to do this with a program called nano (cute, right? ), which is a virtual text editor that will take over your CLI screen and transform it to a working application. Although this window looks a little different from a traditional text editor like Microsoft Word, it actually behaves very similarly. You can use the arrow keys on your keyboard to move the cursor around in the text file and make changes. Phew, we’re done here! Press CTRL+X to save the configuration file, press Y to confirm your changes, and then Return to return to your Digital Ocean droplet. At this point, dokku-cli doesn’t know anything about the Droplet that you created on DigitalOcean. Let’s introduce the two to each other so they can form a lifelong relationship and maybe go on a dinner date. First, make sure you are inside of the root directory of your app by changing to it with the following command, replacing ruby-rails-sample with the name of your actual Rails app name. dokku-cli will look at the initialized Git repository that exists inside of your Rails root directory and reference the remote named dokku for the correct connection information to your droplet. Since your repository doesn’t currently have a dokku remote, create it with the following command, replacing the IP address with your DigitalOcean droplet IP that you received after creating your droplet. We’re at the last command, but it’s arguably the most important. Your Rails app needs to be uploaded to your droplet so that you can access it from anywhere in the world! Wait… that’s it? Pretty amazing, huh? Try holding the command key and double-clicking the droplet url that Dokku reports back in the CLI after a successful deployment. You should see your app running – congrats! You’ve successfully deployed to a Dokku server in 30 minutes or less! What’s this? You’re still reading, even after you’ve scored the game winning goalsportshomerun? Well, together, we can make your app and deployment process even better with a few more tweaks. Read on, if you so choose. 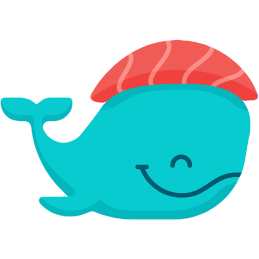 Any time you deploy your Rails application to your DigitalOcean droplet, Dokku will restart your server to ensure that what is being delivered to your users is all up to date with the latest version. However, this can become problematic; while Dokku checks to make sure your application container is up and running correctly, by default, it doesn’t actually check to see if your Rails server has been launched safely. What this means is that while Dokku may report in as successfully restarting your container, your users may see temporary errors indicating otherwise while your Rails app continues to boot. We set the WAIT value to 10 to wait 10 seconds before checking since the app takes a little while to boot. If after 6 ATTEMPTS the Dokku check continues to fail, Dokku will revert back to the previous app version and consider the deployment as failed. Dokku will hit the /check.txt route, and if it received it_works as the response, the deploy will be considered successful. -----&gt; Running pre-flight checks -----&gt; Attempt 1/6 Waiting for 10 seconds ... CHECKS expected result: http://localhost/check.txt =&gt; "it_works" -----&gt; All checks successful! Nice work! Your app now implements zero-downtime deployments. By default, any changes that you make to your Rails app database require that you manually run rake db:migrate to process your migration files and apply your changes to your database. We can ensure that Dokku does this automatically for you when you deploy by creating an app.json file in your Rails app root, which Dokku will look to for instructions on what it should do when you deploy your App. This is telling dokku that after your deploy is successful, run bundle exec rake db:migrate automatically to handle any changes you made to your database between app versions. Noice! Now that you have your droplet and app ready to go, chances are likely that you want to hook up a real domain name to visit instead of just an IP address. To do this, you’ll need to make some DNS changes on your domain registrar’s site and on DigitalOcean. This might be GoDaddy, HostGator, Hover, NameCheap, BlueHost, or even somewhere else. Great Article. Well written. Easy to follow for well advised as for beginners. Could go even further with some more examples… nodejs, mongo eventually and some more things we can do with Dokku configuration or Docker. But Enough for a good start! Thanks a ton. Rarely seen an article so well written. Always appreciable. Wow, this is amazing and will save my money. Thanks a lot! Wonderful write up. Hoping to get away from Heroku. This gives me hope!